BT and the Staffordshire Broadband Project have inked a deal to provide fibre optic broadband to about 97% of the county's homes and businesses by spring 2016. Backed by Stoke-on-Trent City Council and the Local Enterprise Partnership, it should see 95% of businesses receive a download speed of at least 24Mbps, with the remaining properties to get a minimum of 2Mbps. BT is contributing £12.47 million toward the scheme, while Staffordshire County Council is contributing £7.44 million, which has been matched by the government's Broadband Delivery UK (BDUK) fund. Staffordshire County Council said the network will be open to all communication providers on an equal basis to drive competition and keep prices down. Mark Winnington, Staffordshire County Council's cabinet member for economy and infrastructure, said the signing of the contract gave the green light for BT's local network division Openreach to start work on the project. He said: "We see this infrastructure as important as road or rail in providing the accessibility and opportunities for our residents and businesses. It will ensure we can compete with other areas of the UK and Europe. That is why we took the crucial decision to invest £7.44 million." 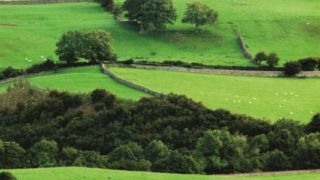 BDUK is the government agency overseeing a £530 million project to roll out high-speed broadband to 90% of UK premises in rural areas by 2016, in addition to a minimum of 2Mbps to the remaining 10% in hard to reach areas. As contract number 23 of 44, the Staffordshire-BT deal saw BDUK pass the government's halfway mark. BT, which has won all of its contracts so far, was left the sole remaining bidder for contracts in March when its only competitor Fujitsu withdrew from the procurement process. Contracts it has won include providing fibre optic broadband to Herefordshire and Gloucestershire (in a deal worth a total of £56.6 million), West Sussex (£20 million), Durham (£24 million), and Cheshire (£27.4 million).